Peter Gomes died Tuesday, at 68, a demiurge of American religion. For 41 years a minister to Harvard University, intellectually robust, socially august, a parade of pomp and personality, a drum roll for love and tolerance, Gomes authored a most uncommon life. 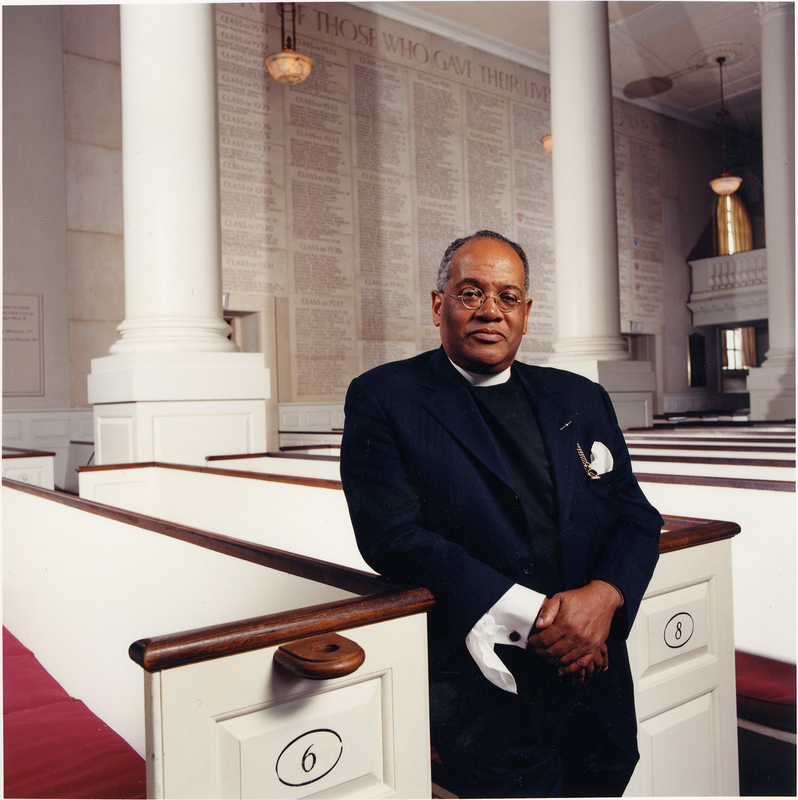 He called himself black, gay, and Republican; a high church liturgist, a rogue Baptist preacher, a Catholic at heart. He wore an aristocratic mantle, lived liberally, thought conservatively, enjoyed a considered and thoughtful decadence. He was a voice for the pilgrims of Plymouth, from which he hailed, as much as the slaves from which he descended. Peter was my advisor at Harvard; Stephanie served a committee under his charge. We both agree he was a force, like wind; your tidy little stereotypes quickly undone by his velocity. The Boston Globe, posting news of his death, mentions that Peter planned to retire in a year and a half, at 70, and write his memoir. This sounds achingly familiar, as my father for thirty years harbored the same desire; months away from beginning his memoir, his diagnosis came hammering down. A section in his library is devoted to volumes collected over many years toward this project: titles about the cities of the South where he was formed, the culture he inhabited, the battles he found worthy to engage, the ground he stood upon and how it shook. It saddened him that he would not have his later years to pitch his energies toward the task of interpreting his life in the narrative of his time. Peter Gomes, likewise, surely could have filled a book with stories as colorful as his tenure in purple vestments. Many will remember the power of his pride and his humility when he walked out onto the steps of his Memorial Church in the face of strident and hateful opposition and said aloud and for the first time: I am a Christian who happens as well to be gay … Those realities, which are unreconcilable to some, are reconciled in me by a loving God. We are always, in every moment, writing the narrative of our lives in the idiom of everyday, taking our stand upon the shifting ground beneath us, speaking our selves into this moment, as fearlessly as we can. Death’s intimate presence these days reminds me that we are not always allowed a final gathering up, a conclusive chapter. What we write is now. Thousands will come together recalling the moments we brushed against Peter’s candor, fell to his humor, his centrifugal force. We will gather together like words on a page, tell stories of over-the-top dinners at the Sparks house, lavish in love and hospitality, or a personal warmth received at one of his celebrated tea parties. (It picks you up at the flabby part of the day, he said of his tea and silver service.) Our disparate lives will begin to compose a memoir, of sorts. Perhaps I will stop apologizing for my decadent bent, and learn to squander it on others. Or stand on the steps of my own truth and say outloud, with pride and humility, what I know to be true, though others protest. Perhaps, I will become more prodigal, and odd. Thanks be, thanks be, I want to say, for the authors of these two articulated lives. Their gift to me is not a book on the shelf, a memoir of burnished memory, the crafted word. It is a force, rising on the wind. ~ by Susan on 03/03/2011.